Team Rockstar Energy Polaris Racing’s Iain Hayden wrapped up the CSRA Snowcross Championship season this past weekend in style. Not only did he claim his sixth national Pro Open Mod Championship title, he held court at the final event of the series at Horseshoe Valley Resort in Barrie, Ontario, flying around the track on his Polaris IQ like a true champion. 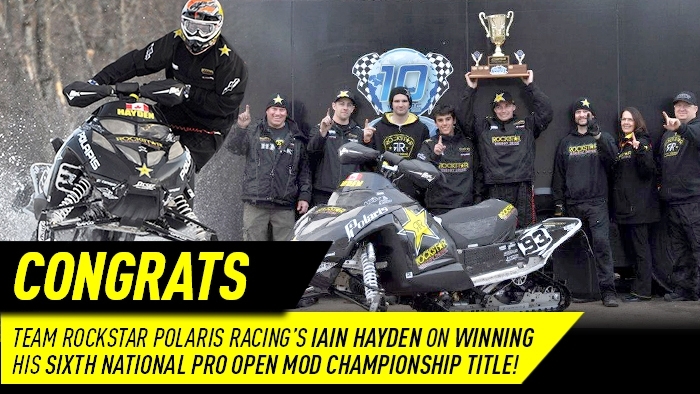 Congrats to Iain and the entire Rockstar Energy Polaris Racing Team on a great season of racing!